Cloud storage services have made it very convenient for users to access files from any part of the world. For its stability and good performance, Dropbox has made a name for itself as the top cloud storage providers with more than 300 million users and business valuation of $10 billion. However, it only provides users 2GB storage for free and it does not look after the encrypted files properly. That’s why some users are willing to shift to another cloud service provider with more free space and better security. To save your time and energy, this post will introduce you three best alternatives to Dropbox based on strict examination and objective evaluation. 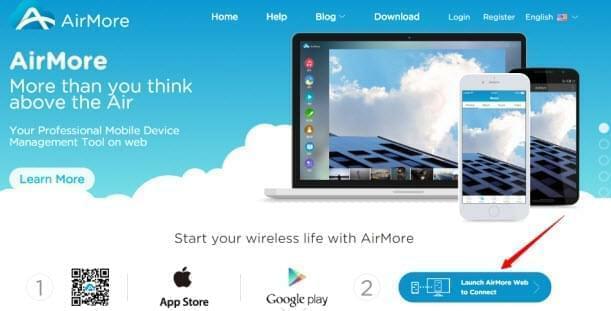 AirMore is a totally free online app to manage different mobile phones on the web without using USB cable. It is regarded as a perfect cloud service provider for its unlimited cloud storage and faultless performance. As long as you have steady WiFi network, you can sync and share files between mobiles and computer whether on your Windows PC or Mac. Go to Google Play to download AirMore for your Android devices, visit App Store to download this app for iPhone, and then forward to AirMore web. Install this free Dropbox alternative on your device and then visit “airmore.net” to scan the QR code to build connection between AirMore and your phone. Click “Accept” or “Agree” button when a pop-up appears on your handset to build connection between AirMore and mobiles. Once connected, you can see all the files stored on your smartphone. You can transfer your photos, videos or music between your PC and mobile devices. Or delete some useless data to leave space for new content. This alternative not only makes it easy to sync and share your files, but also enables you to manage your entire device with WiFi. It is safe to say that AirMore is versatile mobile management software. You can install or uninstall your Android apps, save content on Android SD card or edit your phone contacts etc. Google Drive is an excellent file storage and synchronization service invented by Google. It enables you to keep and share data in the cloud and edit presentations, spreadsheets and documents. Google Drive offers each user 15 GB of free Google online storage. You can use it for keeping your pictures, designs, drawings, stories, recordings, videos or any other files. Wherever you go, you can access your files from any smartphone, tablet or computer. Besides, it also allows you to invite others to enjoy, download all the files you prefer without using any email attachment. However, this alternative to Dropbox also has its inborn defects. Google Drive does provide you a 15 GB free storage, which is seven times the amount of space offered on Dropbox, but this free space covers all the Google services, like Google plus, Gmail and any other service in use, which means it actually leaves just a little space to store your files. 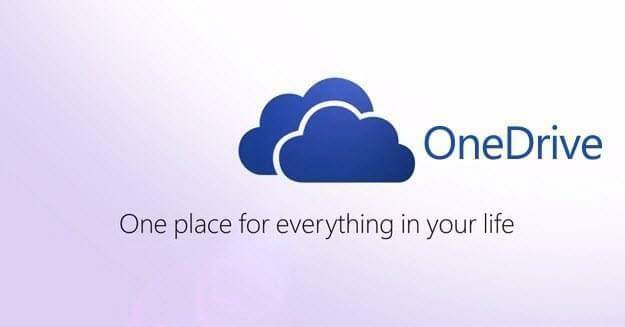 OneDrive is another free alternative to Dropbox for everything in your work and personal life. It forms the suite of online services known as Windows Live. It provides you free online storage to sync files and later access them from a web browser or smartphones. With it, you can publicly share files without using a Microsoft account. View your files and search for files and folders with ease. Share files from other apps to OneDrive and open files from OneDrive in other apps. Automatically upload photos and videos to your personal OneDrive account by using camera upload, so that you can access and share them from your computer, tablet or phone. Transfer, remove and rename files, and set up new folders. Note: One Drive offers 15 GB of free storage for new users and the additional storage is available for purchase. And the free storage space will be extended to 20 GB only if you attach a Microsoft Office 365 Home or Professional subscription to it. There are many other alternatives to Dropbox that deserve on the list. If you prefer unlimited storage for your mobile devices without any charge, AirMore is undoubtedly the best option. Google Drive and OneDrive also are good choices to begin your cloud life.